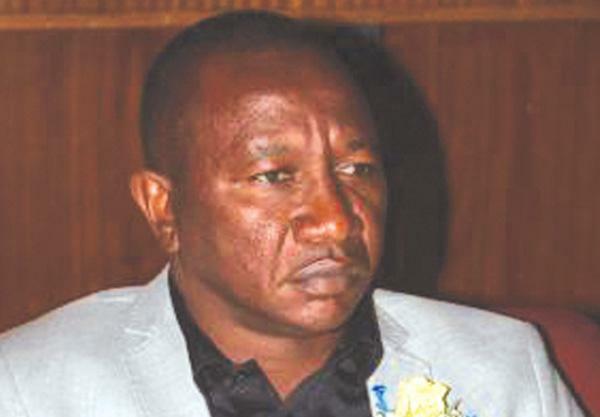 Tsumeb Mayor, Cllr. Linekela Shetekela and Selebi Phikwe deputy Mayor, Cllr. Molefi Pilane signing a letter of intent to establish a Friendship Cooperation Relationship between the Namibian mining town and its Botswana counterpart, Selebi Phikwe. The event is witnessed by Tsumeb councillors and town management, standing behind Shetekela, and the members of the Selebi Pikwe delegation. The agreement lays the groundwork to further enhance and develop friendship and cooperation between the two towns and promote mutual understanding and friendship between the peoples of Botswana and Namibia. Following the agreement, the two council undertook to maintain regular contact to exchange information and strategies on good governance, local economic development and tourism.